Once your benefits are effective, you'll receive premium invoices from your carrier(s). Remember to pay these on or before the due date to avoid the carrier terminating your group plan. 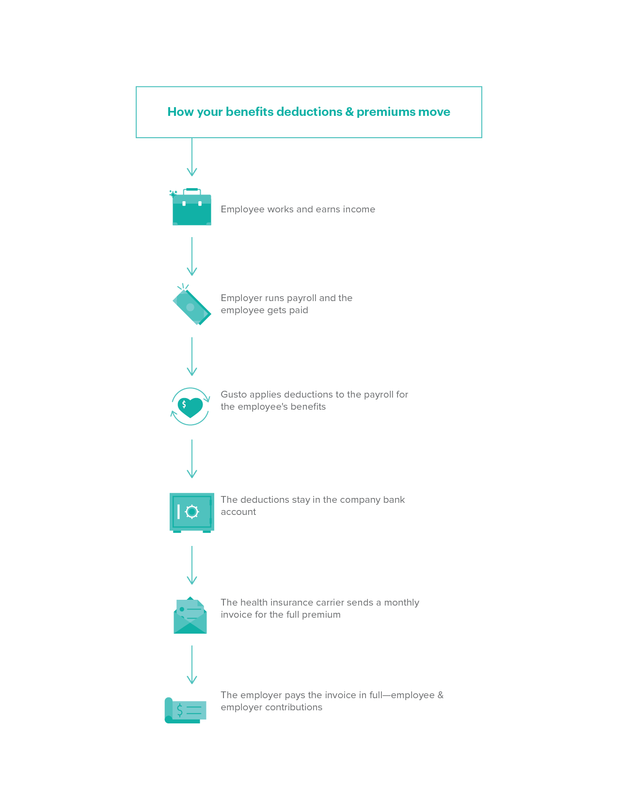 Depending on your company's contribution scheme, we'll make the necessary pretax deductions from your employees and leave the money in your company account so you can pay everything to the carrier in one lump sum. Because owner's draws are pre-tax, you will not see a deduction appear on an owner's draw paystub. The company is paying for the entire cost of health benefits for an owner and no deductions are necessary. A: Maybe. This depends on your specific carrier. To find out if they accept automatic payments and how to set that up, reach out to the billing or member services department of your insurance carrier. If you need help getting that contact information, let us know and we'll find it for you. Q: Where can I get the invoice? A: This also depends on your specific carrier. You should receive invoices each month either by email or mail, detailing how much you need to pay for each of your employees. If you haven’t received your invoice, contact your carrier to let them know. Q: When are the invoices generated? A: This varies. You can expect invoices as early as 6 weeks prior to the month of coverage. Q: If there is a dismissed employee on my invoice, can I just pay the difference? A: No. If you don't pay the invoice in full, you risk the carrier terminating your entire group policy. If you dismissed the employee after the invoice was generated, you should pay the invoice in full and you'll receive credit for the overpayment on the following month's invoice given that the termination was reported on time. If your benefits are managed by Gusto and you have any questions about the status of an employee's termination, contact benefits@gusto.com and we'll give you an update.